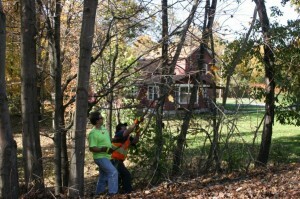 VRA Cuts the Morristown & Erie’s High Bridge Line – Volunteer Railroader Association Inc.
On Saturday October 20th, a VRA crew set out to cut brush on the Morristown & Erie’s High Bridge Line in preparation for the USMC Toys for Tots train. The crew consisted of Justin Kerstner, Carolyn Hoffman, Steve Zachowski and myself as well as M&E Track Foremen Chris Mazzei and Buddy Lacey. The MofW convoy of the VRA’s brush cutter #432, hy-rail ME-501 and the M&E’s grapple truck cut brush and cleared countless trees for approximately 7 miles from Ferromonte Jct. to the end-of-track at the Toys R Us distribution facility in Flanders. The High Bridge Line was originally constructed by the Central Railroad of New Jersey to connect to the Delaware, Lackawanna & Western’s Chester Branch, Wharton & Northern Railroad and Mount Hope Mineral Railroad all at Hopatcong Junction. 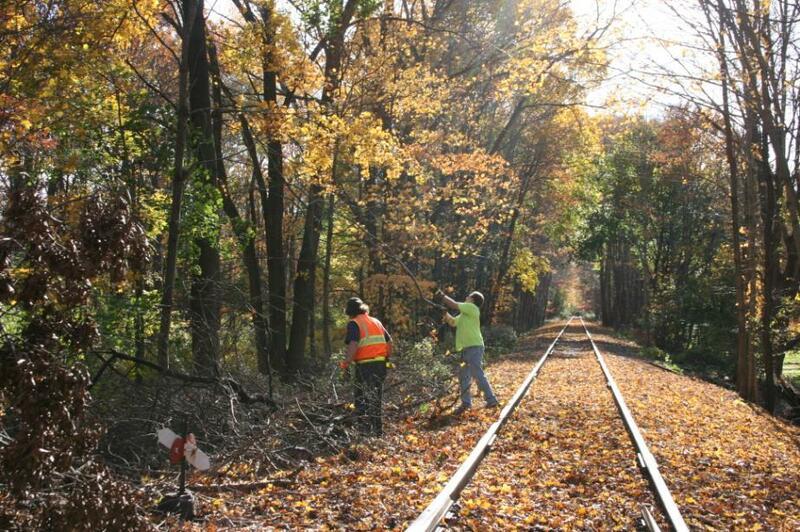 Conrail acquired operation of the line from the CNJ and abandoned a good portion of it south of Flanders which is now a hiking trail, the Columbia Trail. 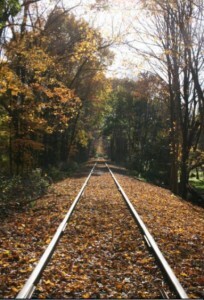 The northern portion between Bartley and Kenvil (Hopatcong Junction) was sold to Morris County on July 1, 1986 and was immediately leased to the Morristown & Erie Railway which has been its operator ever since. 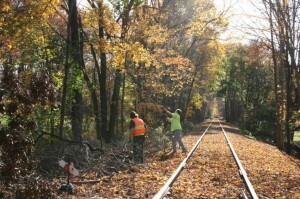 Today, where the diamond used to be at Hopatcong Junction was rebuilt by the M&E in 1986 with a new connector to run trains directly on to the High Bridge Line from the Chester Branch and was renamed Ferromonte Junction. 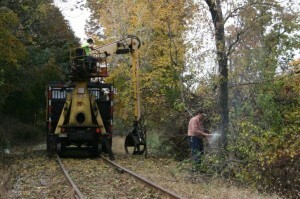 We also have been asked to cut the Dover & Rockaway Branch, Chester Branch and Whippany Branch (approximately 19 miles total between the three lines) before the growing season, but this will not take place until at least the spring of 2013 due to the cold weather and needed repairs to the brush car. 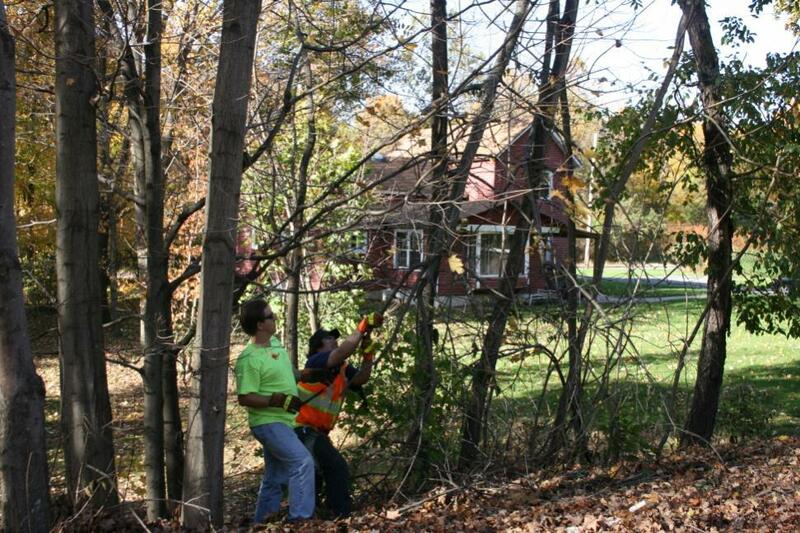 This was the first notable cooperative effort between the Morristown & Erie and VRA outside of Operation Toy Train, and I am happy to say it was a great success and the beginning of a great new relationship.